You may have heard about the potential link between nitrate intake, specifically from beets, and improved sports performance. It goes like this: nitrate (NO3) is converted to nitrite (NO2) which is then converted to nitric oxide (NO) in the body, and nitric oxide is a powerful vasodilator (meaning your blood vessels dilate and blood can flow more freely, and quickly, to working muscles). Various studies on beets and beetroot juice have found performance benefits, including improved efficiency in oxygen usage, improved time trial times, improved power output, and prolonged time to exhaustion. What does this mean? Basically that beets (or beetroot juice which was used in most of the studies) may help you run, ride or climb harder, faster, and longer. It may also be of help at altitude, where oxygen availability is reduced. There are some studies that haven’t found any benefit, but overall the results look good. Another positive benefit of beets is that they can help lower blood pressure, so if you’re on blood pressure medication or already have very low blood pressure proceed with caution. You may also have heard of potential concerns about nitrites, mostly found in processed meats in the form of sodium nitrite, which have been associated with an increased risk of some cancers and a condition called “methemoglobinemia”. These associations are still in question, however, but it’s best to limit intake of processed meats anyway as they tend to be high in saturated fat and focus on beets and beetroot juice if you want to increase your nitrate intake. 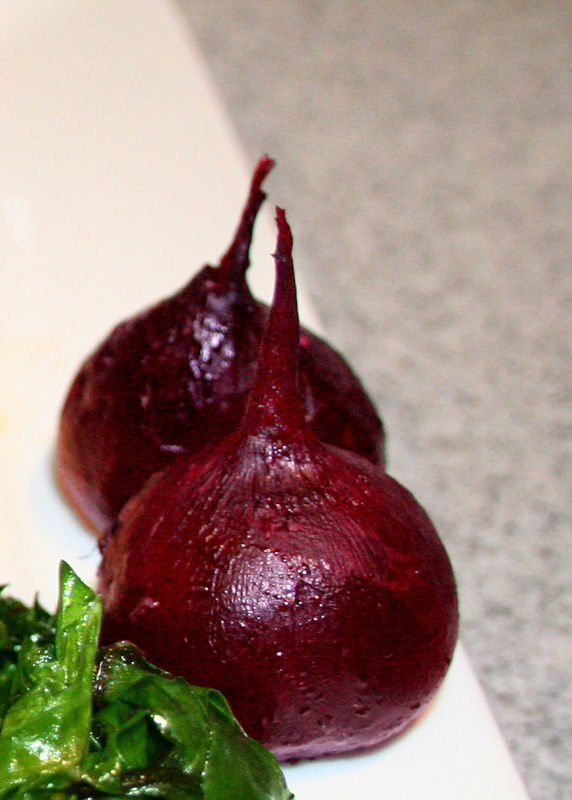 Bottom Line– Beets can be a great addition to your diet. Besides the potential sports performance benefits, beats are jam packed with nutrients and low in calories. In addition to beets, leafy green vegetables such as spinach and arugula are also good sources of nitrate. If you want to incorporate beets into your diet but hate the taste, try the refreshing smoothie recipe below, or vary it to your taste preferences. You can also try roasting beets in olive oil and tossing them in a salad or blending them up and adding them to a pasta sauce. This entry was posted in General Health, Sports Nutrition. Bookmark the permalink.